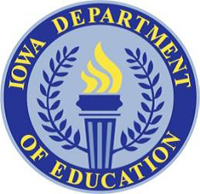 Enrollment in Iowa’s public schools continued to increase this school year according to figures from the Iowa Department of Education. “For the fourth year in a row we’ve see the total number of students in Iowa public schools increase in the 14-15 school year. “It’s nice to see a continued climb after about 17 years of a decrease in student enrollment rates,” according to Jay Pennington, chief of the Department’s Bureau of Information and Analysis. The increase in enrollment follows the slow, steady trend in population increases. Pennington says the overall population increase is showing in Iowa schools, as is the diversity of the student population. “This past year we saw the most minority students every in Iowa public schools So we are going to see about the same number of students in public schools, but a continuing change in the diversity,” he says. Schools in suburban areas continue to show the most gains. “If we look at a five-year trend as an example, and we look at different size categories in which we classify schools, you can see smaller school districts overall — the likelihood that they are going to decline — is higher and the larger districts, the likelihood that they are going to see in creases is much greater.” The 5 schools with the largest increase in enrollment in the last 5 years were: Waukee (31%), Bondurant-Farrar (27%), Dallas Center-Grimes (21%), Ankeny (20%) and Seymour (18%). Four of the five are suburban Des Moines districts. The districts that saw the biggest declines in enrollment this school year were: Ventura, which lost 33 percent; Walnut, which lost 25 percent; Corwith-Welsey, which lost 25 percent; West Harrison, which lost 20 percent and Northeast Hamilton, which lost 19 percent. The 2014-15 enrollment summary by school district is available online at the Education Department’s website.